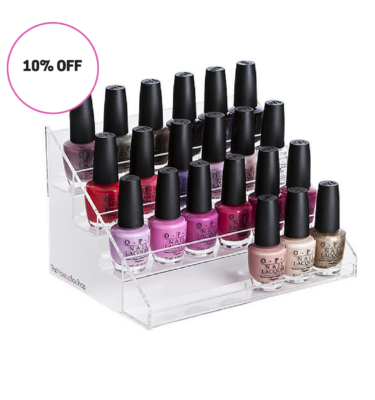 Get you Nail Polishes organized with a Nail Polish Box from the Makeup Box Shop. 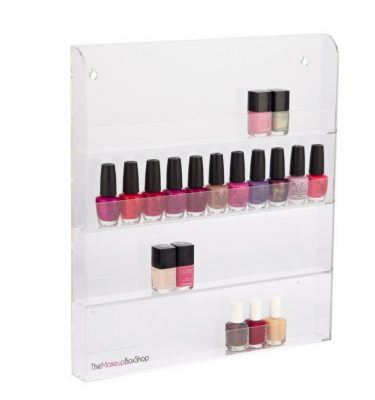 The Makeup Box Shop has a range of Nail Polish Boxes that are ideal to store your nail polishes upright. The Makeup Box Shop was the first in Australia to stock and sell the Nail Polish Box. 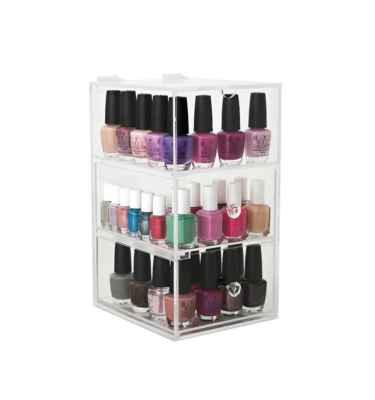 Our Nail Polish Boxes are made from thick durable clear acrylic. The clear design means that you can see your nail polishes and get them easily when you need them. Our Nail Polish boxes store a minimum of 60 nail polishes (based on OPI Nail Polishes). The boxes have 2 drawers and a flip top compartment to store not only your nail polishes but also your nail polish accessories. Our Nail Polish Boxes will cater for the largest nail polish collections. We have two distinct type of nail polish boxes, the Original and the Glamour. The Original has the original flat handles and the Glamour has the Diamond Style handles. These two unique designs means that these boxes will suit all decors. The Makeup Box Shop is the home of the original Nail Polish Box. The Makeup Box Shop for all your Nail Polish Storage Needs.